Yesterday, Nov 1, was “Día de todos los Santos Vivos” here in Cuzco, the celebration of the Catholic holiday All Saints Day. Since the time of the Spanish conquistadores, much of the traditional Andean culture in Peru has been absorbed or continued in some form in the Catholic religion and Catholic holidays, therefor the celebration of “Día de todos los Santos Vivos” in Cuzco is a blend of Andean and Catholic traditions. The Andean emphasis is agricultural, since November 1 is in spring south of the Equator. It is the time of returning rains and the reflowering of the earth. The souls of the dead also return to reaffirm life. During this time, the doors are opened to guests, who enter with clean hands and share in the traditional dishes, particularly the favorites of the deceased. 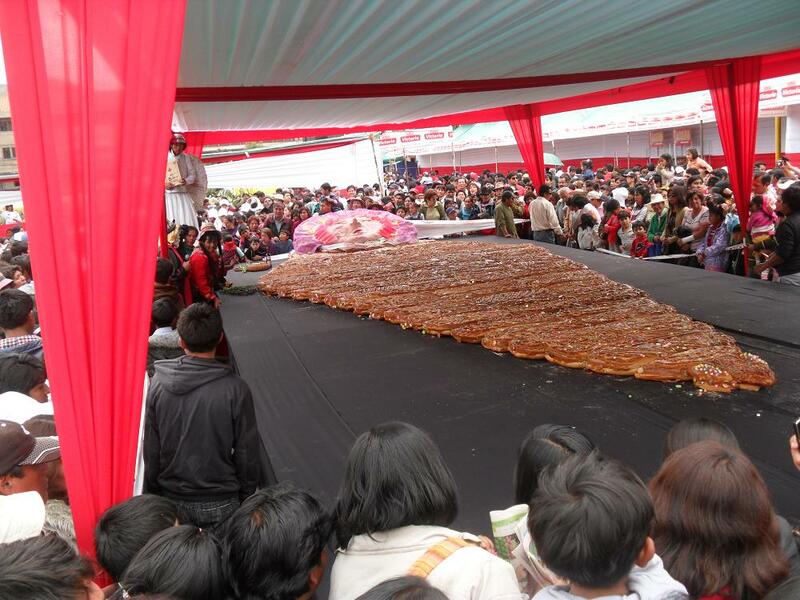 Tables are bedecked with bread figurines called t’antawawas, sugarcane, chicha, candies and decorated pastries. At the cemeteries, the souls are greeted with more food, music, and prayers. Rather than a sad occasion, the Día de Todos Santos is a joyous event. And how better to celebrate such a joyous event than with food! 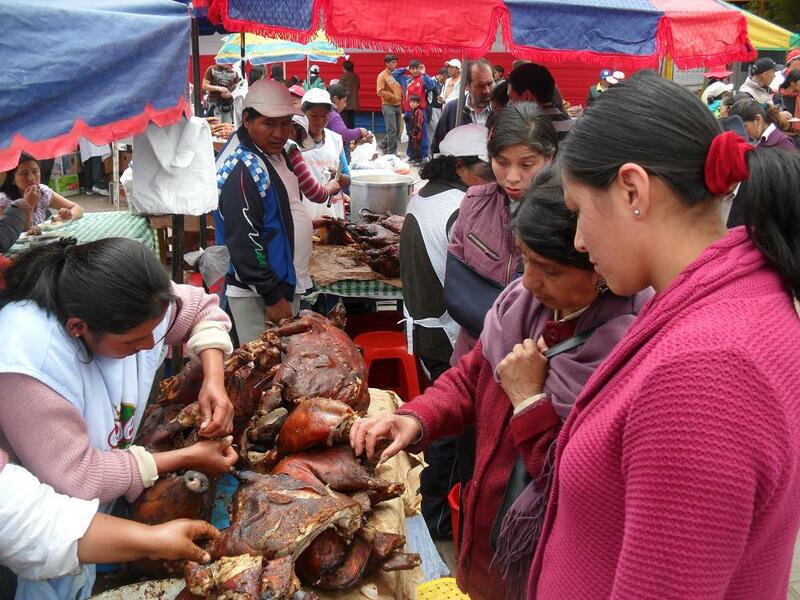 Here in Cuzco the traditional meal on “Día de todos los Santos Vivos” consists of lechon (suckling pig) and tamales. Here in Cuzco, Oct 30 to Nov 1 was also the festival of the bread, or T’anta Raymi. Sweet bread figurines, known as pan wawas (from the Quechua word wawa which means baby) are sold everywhere during these days. At the plaza Tupac Amaru close by our house we saw this gigantic pan wawa and I believe there was an even larger pan wawa set to be displayed in the center of the city. This entry was tagged All Saints Day, Cusco, Cuzco, Día de todos los Santos Vivos, festival of bread, pan wawa, Peru, T’anta Raymi. Bookmark the permalink.